Paloma Varga Weisz (b. 1966, Mannheim, Germany) lives and works in Düsseldorf, Germany. Varga Weisz works primarily as a sculptor and as a draughtswoman; producing intricate carvings and small scale, mythical watercolour works. Classically trained in Bavaria, Varga Weisz was taught traditional techniques of woodcarving, modelling and casting before attending art school in Düsseldorf in the 1990s. Varga Weisz’s handmade woodcarvings are heavily textured and tactile, and frequently probe traditional approaches towards display. 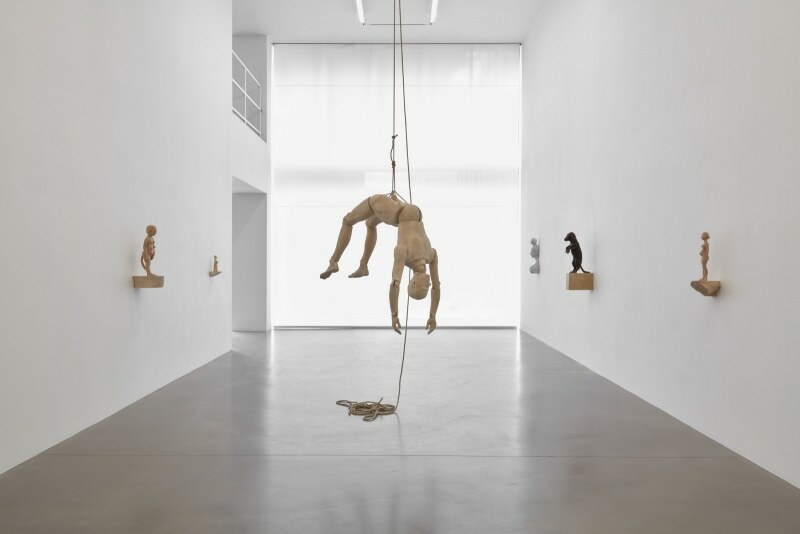 Her figures, both sculptural and illustrated, are often laden with personal and collective motifs, where oddities of form are common fare: anthropomorphic figures, hybrid forms, or figures verging on the grotesque.